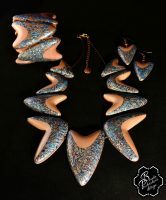 Let’s create something special! 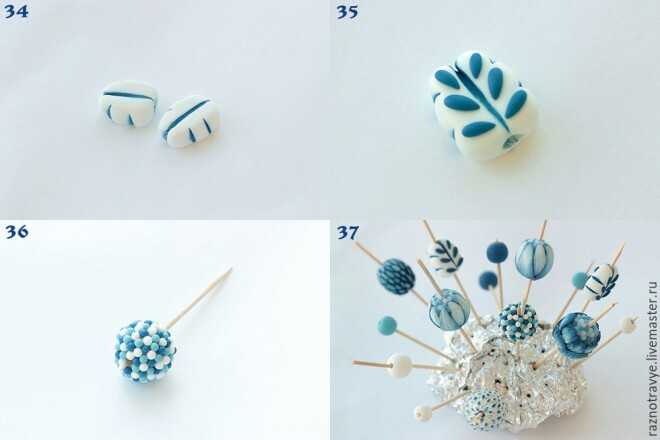 I found a nice DIY tutorial that I want to share with you: polymer clay white and blue necklace. 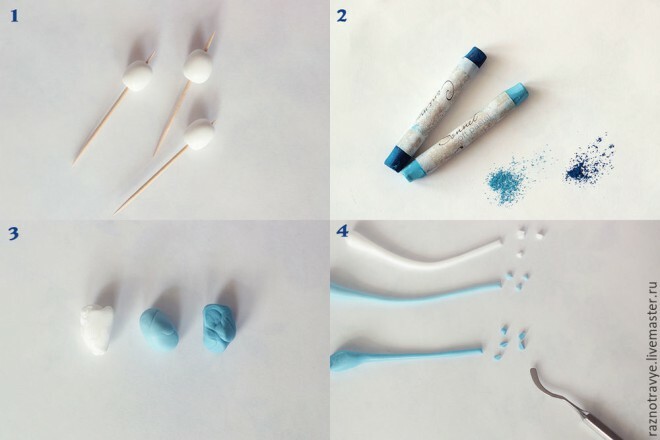 First of all you should rub the dry pastel with a cutter or knife. This way you will not dirty the other components. 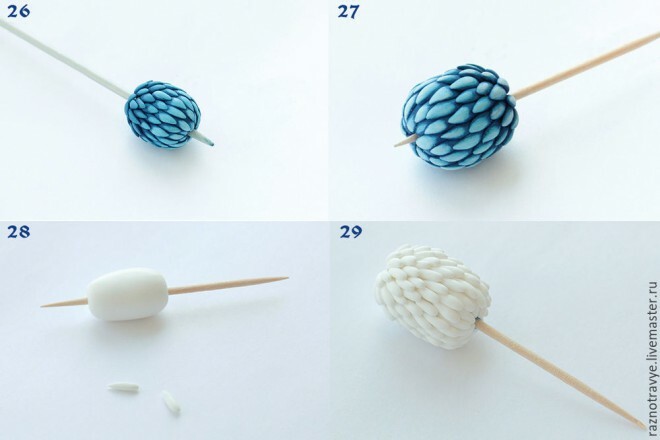 Than take a white piece of polymer clay and roll the basics – three oblong balls, we will put them on toothpicks. 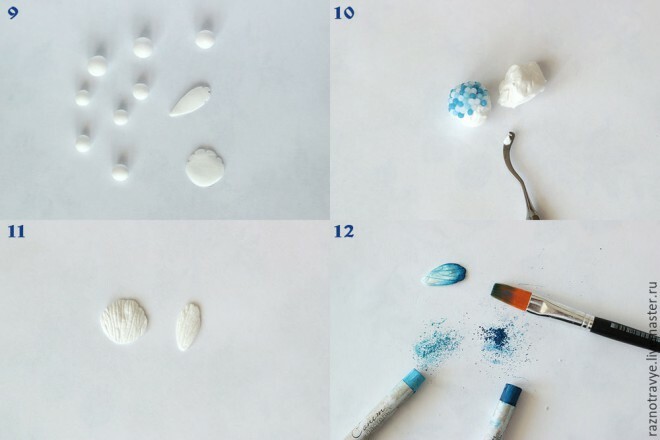 Than you need to take three equal pieces of translucent white clay and in two of them should add a little of the pastel powder. Roll thin sausages and cut them with a knife or stack into equal pieces. 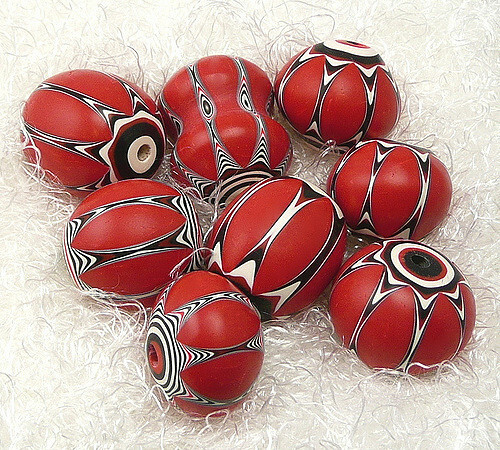 Take the small pieces from the previous step and roll balls, many identical balls. 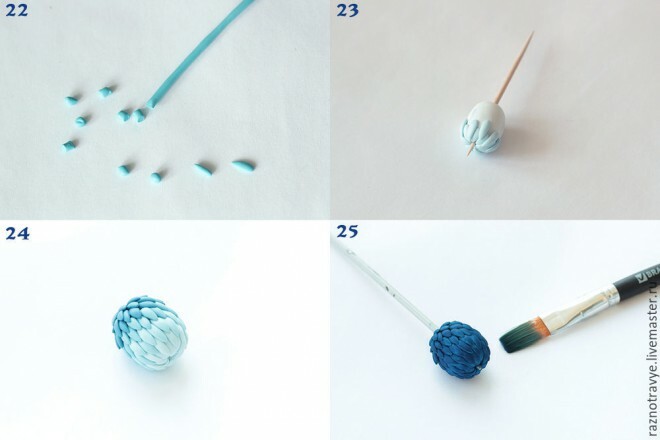 We smear the upper halves of our blanks with liquid clay and sculpt them on balls in a chaotic order in colors. 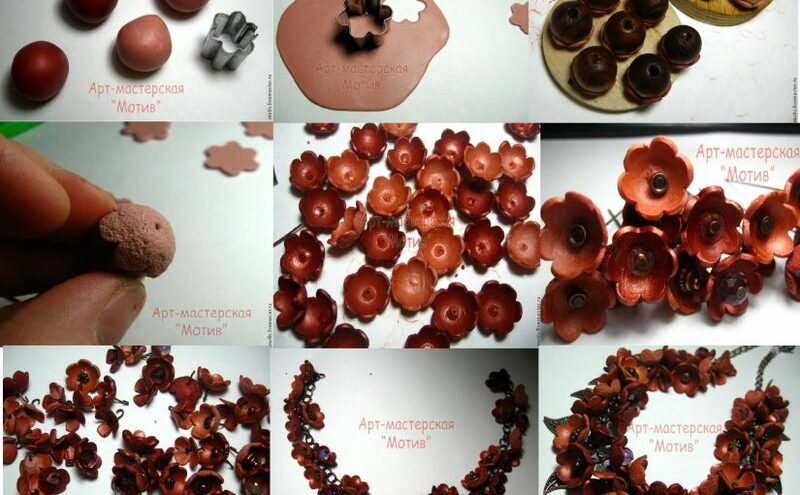 For the next step we will make the petals for the central flower from the white clay. Two slightly different sizes. We need 8 flat drop-shaped form and pieces 4 round. Then we make the invoice of the petals with a stack. 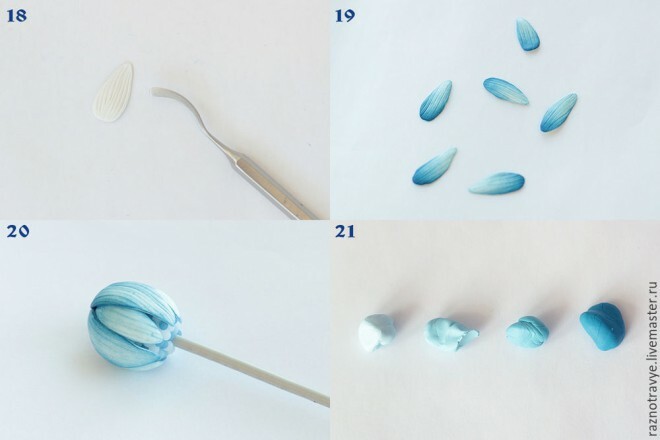 After that, we nee to thin the petals and to dabble them with blue pastel. 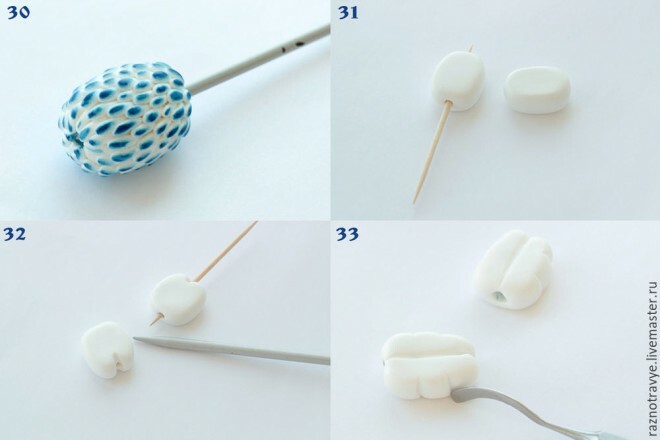 Add them to the bubbled bead from the beyond step. 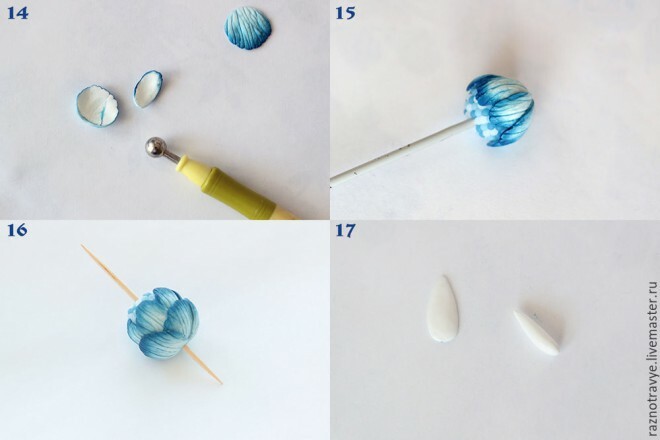 Fallowing the same principle we’ll be covering up with another bead with the longer petals. For the next bead we’ll need to repeat the process where we cut small pieces from the sausage, but this time we’ll keep them elongated and we’ll cover completely the bead. Wipe with a damp cloth, leaving the paint in the recesses. After I took the grated white pastel. 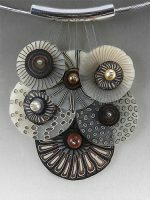 I typed it a little on the finger and stroked it gently with my finger on the “tops” of the droplets. I know we’ve been working here for some time but don’t give up! 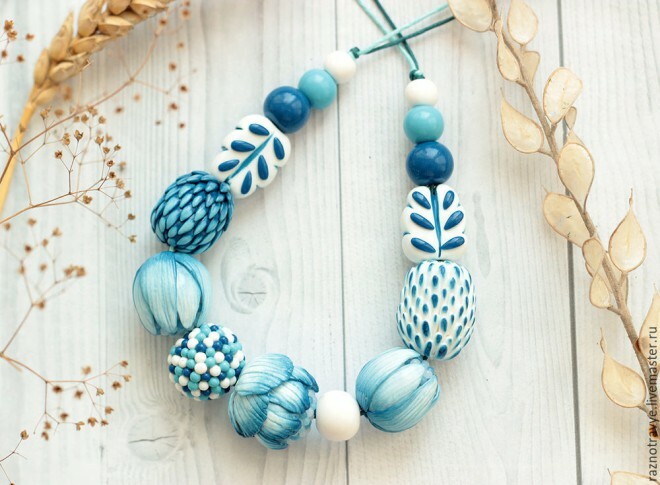 This amazing polymer clay white and blue necklace will worth it! We take on the finger a little dry pastels of dark blue color and very, very carefully put on the protruding tops. Be careful, one wrong move can spoil everything. For the leaves we need to make two such oblate oval bases and using a spoke or toothpick, we make a dent on top. Spigot we draw a vein, we make a stack in three places on each side of the depression sheet. 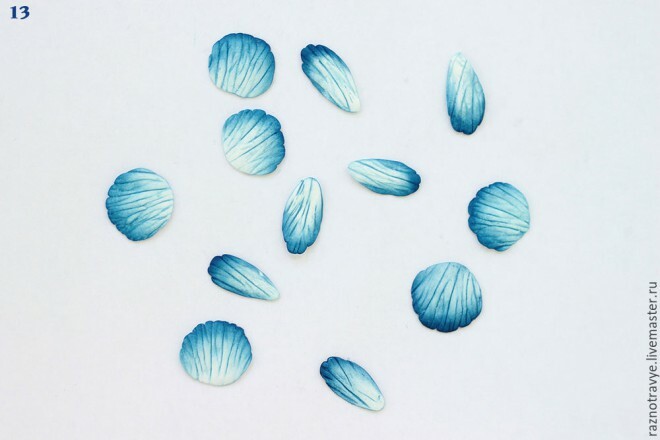 Tone the dark blue pastel of the indentation, erase all unnecessary with a napkin.Make the flattened dark blue droplets and spread them like shown in the photo. 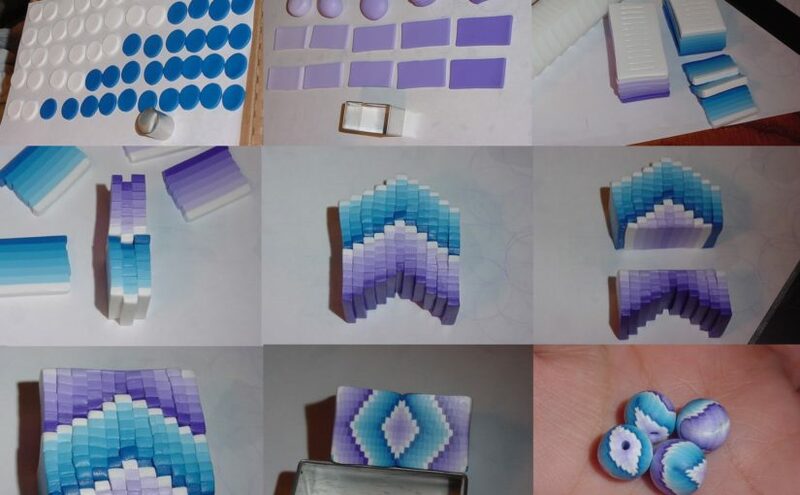 For the last bead we’ll repeat the same steps as in photos 4,5,6. 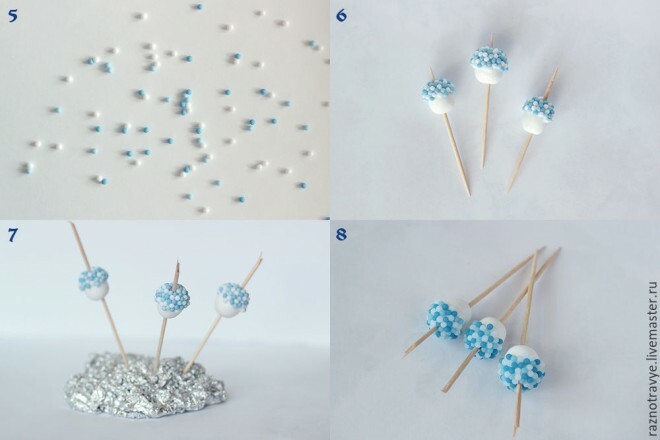 In photo 37 you’ll see the best way to bake you can hang the beads for baking. 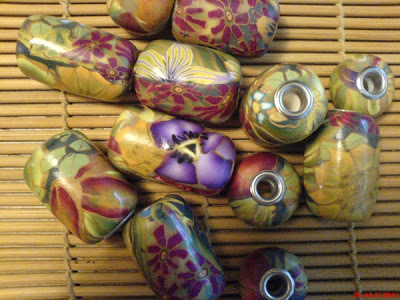 Here are the beads after baking. Don’t forget to give them a shiny look! 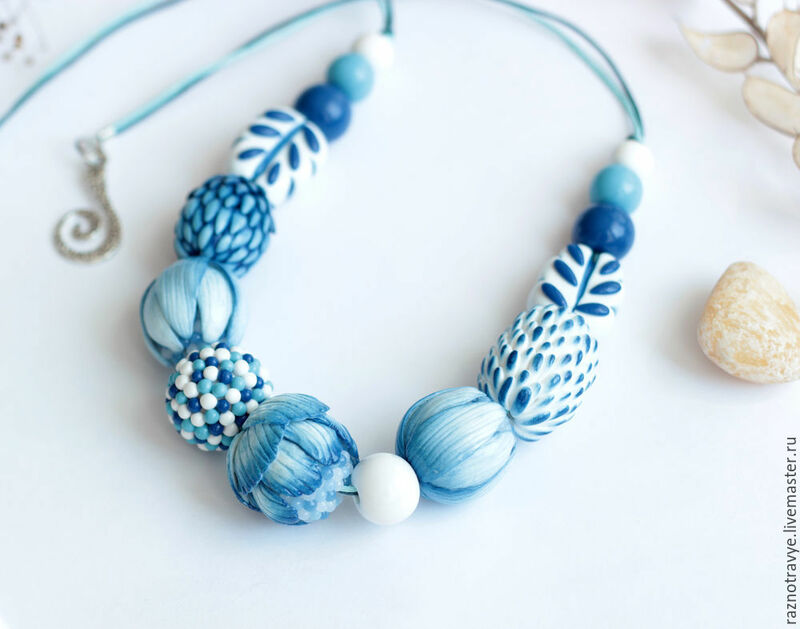 I love the combination of polymer clay an painting idea and this polymer clay white and blue necklace is beautiful an the tutorial is so well explain here that I’ll start created in a moment! 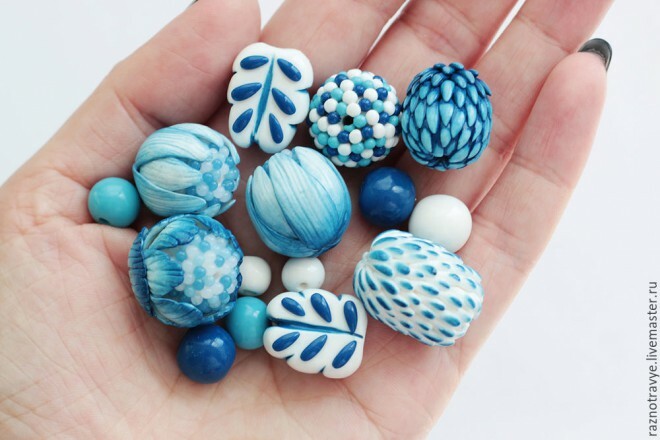 What do you think about this polymer clay white and blue necklace tutorial? 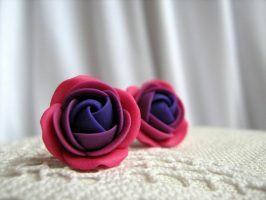 Of course it will look amazing also in different colors!